Are you thinking of improving the security at your house with good quality garage doors? But just buying the right kind of sturdy garage doors will not help. You also need to make sure that the doors are also installed in the accurate and the most efficient manner possible. Hence, while buying the garage doors, you should focus on companies which offer garage door installation and repair along with its sales. We, at Garage Door Systems, can be the right choice for you. Along with offering high-quality doors from famous brands, we also provide installations and repairs of garage doors. We have expert technicians who can install your garage door in no time and in the correct way. So, if you belong to areas like Edmond, Mustang OK, OKC, Oklahoma City, Piedmont OK, and Yukon OK, then you can resort to us without any hesitation. Here, we have enlisted a few questions you must ask a garage door company about their installation services. Take a look. 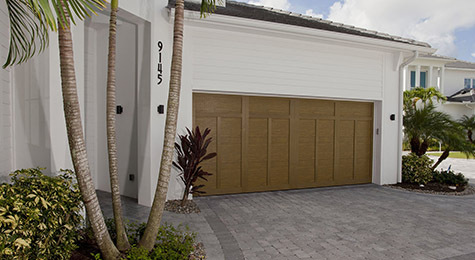 How much experience do you have in installing garage doors? One of the most important things that you need to know while choosing an installation service for your garage doors is the number of years they have been a part of this industry. This will help you understand whether you should trust the company or not. Do you have well-trained and knowledgeable technicians to install the garage door? Next, you should ask the company if they can offer you experienced, qualified, and well-trained technicians to execute the installation of the garage door. The quality of the installation will depend on the kinds of technicians you hired. How much do charge for the installation services? Lastly, you need to ensure that the company you are hiring for the installations charges a decent amount which does not exceed your budget. So, ask this question in order to clear your doubts. After asking such questions or more, if you are interested in hiring us, then quickly call us at 405-350-1203 now.